Discover Caux, with its delightful Belle-Epoque buildings, beautiful natural surroundings and stunning views, imbued with a romantic ambiance and incomparable charm. This was a favourite place for the empress Sissi to come and do her long walks. 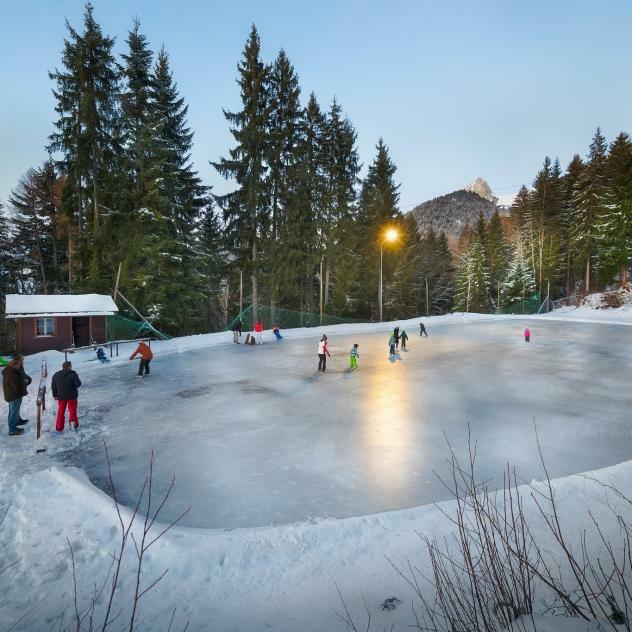 At the foot of Rochers-de-Naye, this historic resort is the ideal location for your various winter activities, including walking, snowshoeing, ski touring, cross-country skiing and skating, as well as dog sledding tours. The Caux-Gresaleys multi-purpose trail will suit fans of all these different activities. The route starts at the “Coucou Hôtel” car park, offering a wealth of views including Lake Geneva, Chablais, the Lavaux vineyards, the village of Les Avants and Rochers-de-Naye, which continue all along the route. The trail starts with a climb through the forest towards the Dent de Jaman, then takes you through clearings to Les Gresaleys. Here you’ll find the mountain pastures of the same name, situated in an idyllic setting at 1,200 m.